THE families of the majority of the men who died during the 1981 Hunger Strike have rejected as “false” the claims being made about the fast and the deaths of six of the H-Block prisoners. The families are particularly incensed at the claims – raised by former H-Block prisoner Richard O’Rawe and repeated by the British media – that Margaret Thatcher’s government offered the protesting prisoners a deal and that this was rejected by the leadership of the Republican Movement out of political expediency. The Gulladuff meeting was attended by Sinn Féin President Gerry Adams, Danny Morrison (who liaised with the Hunger Strikers in 1981) and prisoners’ O/C Brendan ‘Bik’ McFarlane as well as family members of eight of the ten dead Hunger Strikers. None of Kevin Lynch’s family could attend the meeting but sent a message of support. In their statement the Hunger Strikers’ relatives repudiated the account, which were blatant lies, of the Gulladuff meeting circulated by IRSP spokesperson Willie Gallagher who maintained that Michael Óg Devine (whose father Mickey was the last Hunger Striker to die) and Tony O’Hara (brother of Patsy) were shouted down. Gallagher alleged his account was based on a report of the meeting relayed to him by Michael Óg Devine and Tony O’Hara. The Gulladuff meeting allowed the families of the dead Hunger Strikers the opportunity to ask questions or raise any concerns they may have had about the period. The majority of those at the meeting were satisfied with its outcome but were angry at the false account circulated by Gallagher. In their statement, members of the Hughes, McCreesh, McDonnell, Hurson, Doherty, McElwee and Devine families repudiated the Gallagher version of the meeting and rejected any suggestion that Michael Óg Devine, who remained silent throughout, was ‘shouted down’ or ‘bullied’. Michael Óg Devine did not in fact speak during the meeting. “Wednesday evening’s meeting was a very emotional and difficult occasion for all of us, particularly in light of the allegations coming from Richard O’Rawe and the IRSP. “All of the family members who spoke, with the exception of Tony O’Hara, expressed deep anger and frustration at the ongoing allegations created by O’Rawe. “Tony O’Hara’s suggestion that we should meet with Richard O’Rawe and Willie Gallagher got no support and we asked Tony to express to Richard O’Rawe and Willie Gallagher our wish for them to stop what they are doing and to give us peace of mind. “The account of the meeting published by Willie Gallagher is inaccurate and offensive. 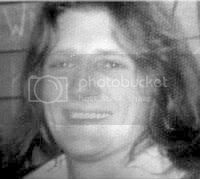 Danny Morrison who liaised with the Hunger Strikers in 1981 attended the meeting. The families of two Derry hunger strikers are calling for an independent inquiry into the events of the 1981 prison protest during which ten republicans died. The families of INLA hunger strikers Patsy O'Hara and Michael Devine made the call after a meeting held in south Derry last week between Sinn Féin president Gerry Adams and relatives of a number of the men who died in Long Kesh. The call for a new probe into the period comes amid the debate over controversial claims by former blanketman, Richard O'Rawe, who claims that the IRA leadership outside Long Kesh rejected a deal which could have ended the fast and saved the lives of six of the hunger strikers, including Michael Devine. The claim was backed by a number of former prisoners at a public meeting held in the Gasyard Centre several weeks ago but denied by Sinn Féin. Tony O'Hara, brother of Patsy, and Mickey Og Devine, son of Michael, in a joint statement, said an independent probe is the only way the families can get peace of mind about what happened in 1981. "At a recent meeting in the Gasyard, Derry City, which we attended, compelling and disturbing evidence (was put forward] revealing that an offer made by the British which conceded four of the five demands, was accepted by the prison IRA leadership and rejected by elements of the outside IRA leadership. "These claims, which have been supported by former blanket men and ex-hunger striker,s have led us to conclude that only an independent Republican Inquiry, free from party political affiliations, can heal the wounds of our families that this controversy has re-opened. We are only interested in the facts, the evidence and the truth, and we would hope that all republicans would support us in our call and bring and end to this controversy so that we, the families, have peace of mind as to what really happened during this period," the statement said. Their call was backed by IRSP Ard Comhairle member Martin McMonagle. "Given the contradictory statements emanating from various spokespeople from Sinn Féin on this matter and the refusal of these people to partake in the recent discussion held in the Gasyard centre in Derry, we are firmly of the opinion that such an inquiry is the only course of action open to the republican community," he said. The Sinn Fein leadership has organised a meeting with families of the 1981 hunger strikers to discuss recent controversy about the period. Families of the 10 men who died were notified this week about the meeting at Gulladuff in south Derry on Wednesday. It is understood Sinn Fein president Gerry Adams and others connected to the 1981 protest will attend. The discussion follows a number of claims in recent months about a possible deal which might have saved the lives of five or possibly six of the hunger strikers. The meeting will be the first time the party leadership has held direct talks with the families since the controversy arose. It is being seen as a bid to stop the issue gaining further momentum. Claims that a deal could have saved lives first arose in 2005 when Richard O’Rawe – who acted as publicity officer for the 1981 hunger strikers – published his account of the period. In his book, Mr O’Rawe said a deal was sanctioned by Prime Minister Margaret Thatcher hours before Joe McDonnell died. However, Mr O’Rawe alleged it was rejected by the IRA leadership outside the prison because it wished to capitalise on political gains. This was rejected by the Sinn Fein group which managed the hunger strike from outside the prison, insisting the deal was not guaranteed. The dispute continued this year when a number of documents released under the Freedom of Information Act appeared to confirm details of a deal being offered to the IRA on July 8 1981. Next week’s meeting has received a mixed response from families of the hunger strikers. Tony O’Hara, whose brother Patsy died before the alleged deal, said his family and that of Michael Devine (both INLA hunger strikers) were considering whether to attend. The IRSP claimed the meeting was “another attempt to mislead and confuse”. Spokesman Martin McMonagle said a full inquiry into the issue – demanded recently by former hunger striker Gerard Hodgkins – was the only way forward. “We have come to this conclusion because of the weight of evidence from wide-ranging sources who were directly involved which clearly contradicts the Sinn Fein version of events,” he said. However, Oliver Hughes, a brother of Francis Hughes and a cousin of Thomas McElwee, supported the Sinn Fein leadership. He said while he could not attend because of business commitments his family would be represented. Mr Hughes said he was angry that the pain of the hunger strikes was being revisited on the families. “I would question what the motive is for bringing this up again 28 years on,” he said. Sinn Fein last night confirmed that a “private meeting” had been organised. A spokesman said the issue was raised a number of times during recent meetings organised by the party leadership. “As a result of these meetings it was decided that we should organise a meeting for all the relatives of the hunger strikers to allow them to come together as a group and discuss issues both amongst themselves and with the Sinn Fein leadership,” he said. I am not a member or supporter of any political party, grouping or organisation. I am a supporter of peace and politics and don't advocate any sort of return to the days of war: I am not on a Sinn Fein bashing exercise and have tried to be measured with my words. I am an ex-Blanket Man who was there and would welcome some insight into the secrets of 28 years ago. This week in South Derry, bowing to pressure from recent revelations that have reduced aspects of the standard Provisional narrative of the 1981 hunger strike to self-serving propaganda, Gerry Adams and members of the 1981 PIRA sub-committee for the Hunger Strike will meet privately with members of hunger strikers’ families. This comes as a former hunger striker and other Blanketmen, and the families of hunger strikers Patsy O’Hara and Mickey Devine, have made public calls for a full inquiry into the events of July, 1981. It has been established an offer, approved by Thatcher, which met 4 of the 5 demands, was conveyed through the Mountain Climber link via Brendan Duddy, to Martin McGuinness in Derry, who in turn brought it to Gerry Adams, Jim Gibney, Tom Hartley and Danny Morrison in Belfast. Danny Morrison gave details of the offer to prison OC Bik McFarlane, who then discussed it with PRO for the Hunger Strikers, Richard O’Rawe. They both agreed there was enough there in the offer to end the hunger strike; Bik McFarlane said he would send word out of the acceptance. This conversation was overhead by a number of nearby prisoners who have come forward corroborating it. Brendan Duddy has confirmed that the response he got from the Adams committee was rejection: “More was needed.” Six hunger strikers subsequently died. The British had the prison authorities implement the substance of the July offer three days after the hunger strike finally ended in October, 1981. The question remains, why did the Adams committee over-rule the prisoners’ acceptance of the offer? The answer to this will need to be supported and not undermined by known facts and evidence. This has been the demonstrable problem with the narrative constructed by Danny Morrison, and the shifting denials that have come since the publication of Richard O’Rawe’s book, Blanketmen in 2005. The denials and half-baked explanations have been continually eroded and fatally undermined by facts and evidence. Brian Rowan’s recent interview with Bik McFarlane is a masterstudy in this. It was ridiculous. The problem for those who support denying the truth is that more evidence continues to emerge as more time goes by, and they cannot know what will come next. So the lie of yesterday gets changed by the evidence which arrives tomorrow; this is something that only by telling the truth today they can prepare for. If they continue to lie, they continue to expose themselves further. This self-serving cover-up only protects those who have something to hide. The courage and integrity of the protesting prisoners, the hunger strikers and their sacrifice is not under question, nor will be sullied by the betrayal of the Adams committee. UPDATE: Statement from the families of hunger strikers Patsy O’Hara and Mickey Devine included below . Former Hunger Striker and Blanketman Gerard Hodgins and Blanketman Thomas “Dixie” Elliott have made public calls for a full inquiry into the questions hanging over the 1981 hunger strike. The whole argument has now gone from the Prison Leadership accepting what was on offer on July 5th to its rejection from outside and just why was it rejected. The families are entitled to these answers as are the friends and comrades of the men who died. What we don’t need is the usual attempt to smear those who ask these questions [...] Those asking these questions are former Blanket Men with no agenda only the truth. I myself am not a member of any group nor party and I am now firmly opposed to the use of Armed Struggle as I saw too many give their lives for what was effectively on the table in 1973. We need closure in this and I feel that both sides need to come together in a debate open to all so that answers can be obtained. The IRSP wish to put on public record our support for an open independent republican inquiry into the truth behind the 1981 hunger strike as called for by the O Hara and Devine families and also by former IRA hunger striker Gerard Hodgkins. Given the contradictory statements emanating from various spokespeople from Sinn Fein on this matter and the refusal of these people to partake in the recent discussion held in the Gasyard center in Derry we are firmly of the opinion that such an inquiry is the only course of action open to the republican community. We have come to this conclusion because of the weight of evidence from wide ranging sources who were directly involved which clearly contradicts the Sinn Fein version of events and which furthermore suggests that the lives of the last six hungerstrikers may have been saved. The forthcoming Sinn Fein closed meeting with the families of the ten hunger strikers is purely another attempt to mislead and confuse events surrounding the 1981 hunger strike. Adams’ meeting with the families is to take place at Gulladuff in south Derry on Wednesday. Clearly, a private meeting in the back of beyond will not suffice. The 1981 hunger strike left a massive imprint on the public consciousness, and has been an emotive issue used by Sinn Fein ever since. Bobby Sands’ face famously graces the side of the political party’s Belfast headquarters; it could be said that the images, symbolism and emotion of the hunger strike have been incorporated - literally - into the Sinn Fein brand. The public have the right to the truth - told publicly. What were the hunger strikers told? Questions emerge that cast doubt on what the hunger strikers knew when about what negotiations were being conducted on their behalf by the Adams subcommittee. - Response from Kevin McQuillan to comments made by Danny Morrison in the Radio Foyle interview; scroll down a bit. Eamon McCann verifies Richard O’Rawe’s account of the 1981 hunger strike in which he alleges that six of the hunger strikers need not have died as the prisoners had agreed to accept an offer from the Mountainclimber, only to be over-ruled by Gerry Adams. The IRA jail leader during the 1981 hunger strike today said the British Government never had any intention of resolving the notorious prison dispute in which 10 men starved to death. Brendan ‘Bic’ McFarlane accused the then Thatcher Government of trying to resolve the prison protest “on their terms” while attempting to “wreck” the IRA in the process. McFarlane, speaking in an exclusive interview for the Belfast Telegraph, again dismissed claims that he accepted an offer secretly communicated by the British that summer, but was overruled by the Army Council on the outside. The suggestion first emerged in the controversial book Blanketmen — written by former prisoner Richard O’Rawe, who was part of the IRA jail leadership in 1981. A British offer on the prisoners’ demands was communicated in the summer of that year through a secret contact channel which was codenamed Mountain Climber. And, on Sunday, July 5, the senior republican Danny Morrison was allowed into the Maze to separately brief McFarlane and the hunger strikers. But he said he also made clear that more was needed — that the British had to “expand the offer, and they need to go into the prison hospital”. McFarlane said this was key — that the Government detail its offer directly to the hunger strikers. “They (the hunger strikers) were at pains to say the Brits need to come forward,” he said. “They need to expand on it (the offer),” he continued, “and stand over it?and it needed to be underwritten in whatever shape, form or fashion the British chose to do that. It needed to be confirmed,” he said. McFarlane said at the time this had also been made clear to the Irish Commission for Justice and Peace. “They (the Commission) went directly to the British and urged them to send someone in,” McFarlane continued. “The British indicated clearly that they were sending someone in, and it didn’t happen. Looking back at the events of 1981, McFarlane said: “It seems very clear that they didn’t have an intention to resolve it to an acceptable degree — that we felt was acceptable. “They were going to resolve it on their terms and wreck us in the process,” he said. 1968 – left Belfast to train as a priest. 1970 – left seminary in Wales and later joined IRA. 1976 – life sentence for gun and bomb attack on Bayardo Bar in Belfast (August 1975, five killed). 1981 – IRA jail leader during hunger strike. Ten men died (7 IRA, 3 INLA). 1983 – he escaped from the Maze in IRA breakout. 1986 – re-arrested in Amsterdam, extradited and returned to Maze Prison. 1998 – release papers signed January 5. When Brendan McFarlane met Danny Morrison in the jail that Sunday afternoon in July 1981, four hunger strikers were dead and another Joe McDonnell “was in an appalling state”. The jail leader knew that Morrison’s presence meant something was happening. For months — since the first hunger strike of 1980 — he had been banned from the jail, and, now, on a Sunday when there were no visits the prison gates had opened for him. The man from the outside was allowed in to explain the Mountain Climber contacts and the offer the British had communicated. And the fact that the British were in contact — albeit through a conduit now known to be the Derry businessman Brendan Duddy — was progress. After meeting Morrison, McFarlane met the hunger strikers. “And I said I concur with your analysis — fair enough — but you need to make your minds up,” he continued. The hunger strikers, according to both McFarlane and Morrison wanted the British to send someone into the prison. McFarlane continued: “Something had to be written down. Something had to be produced to the hunger strikers, even to the extent that the Brits were saying, there it is, nothing more, take it or leave it, and that’s the way the lads wanted clarity on this. “We were never given a piece of paper,” he added.